Mills and her crew Eilidh McIntyre will top a stellar British line-up including Olympic medallists and world and European champions, plus a host of talented newcomers, at the ten-day regatta in Aarhus, Denmark. The 66-strong squad that will take on the world's best sailors from 2-12 August was revealed by British Sailing Team boss Mark Robinson today, exactly two years before the eve of the Tokyo 2020 opening ceremony. The announcement also marks the launch of the British Sailing Team's revamped website, and its new #RuleTheWaves social media campaign. 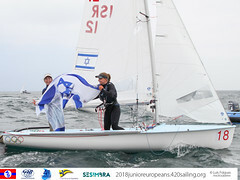 The quadrennial Sailing World Championships will be contested by 1,125 sailors from 83 countries – and is the most crucial date in this season's calendar. 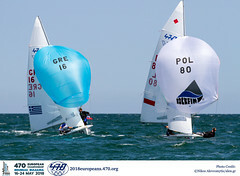 It is a combined world championships for all ten Olympic classes and therefore a major indicator of performance in the run-up to Tokyo 2020, at which British sailors will aim to top the medal table for the fifth time in six Games. However it is also the first opportunity for countries to qualify for places in each of the classes for Tokyo 2020. In the men's 470 fleet, London 2012 silver medallist Luke Patience will be on the start line with crew Chris Grube looking to build on their impressive start to the 2018 season. 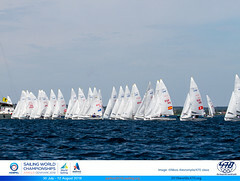 Racing at the Sailing World Championships begins on August 2 and runs until August 12. Full results will be available at aarhus2018.com. Follow the British Sailing Team's progress at the Sailing World Championships on Facebook, Twitter and Instagram.